Update #1: Shipping info and order form is no longer to be submitted by posting in the SALE board, but is now to be emailed. Update #2: If you want to buy multiple order options in one order, please email 125_yuri@naver.com with the exact quantity you want for each order option. A reply will be sent with EMS fee and goods price. Another fan project has popped up and this time it’s in celebration of Yuri’s 23rd birthday. 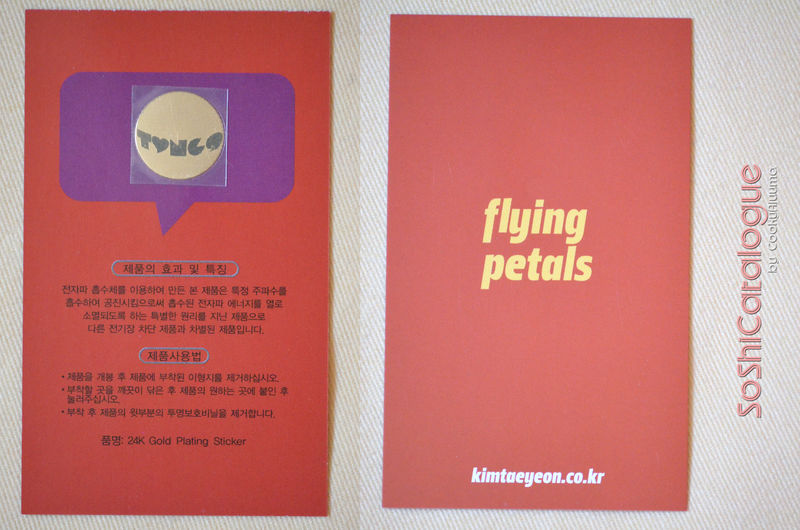 The proceeds from this project will be used for Yuri’s 23rd Birthday Support project by kwonyuri125.com. 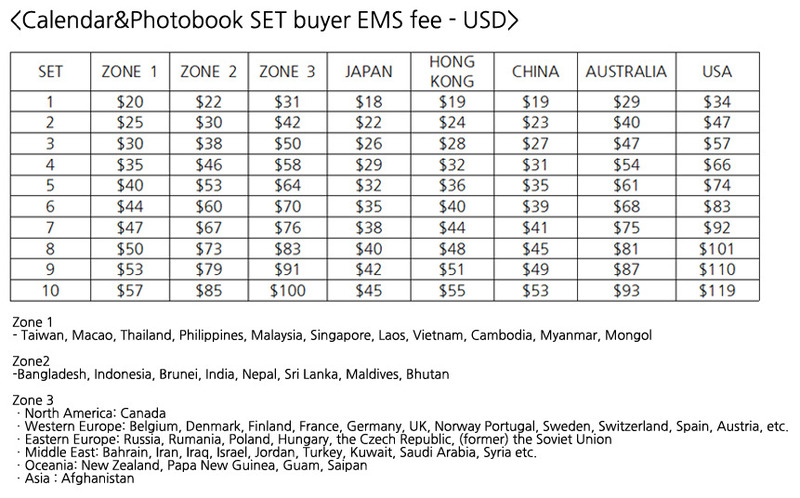 The fan site is offering foreign SONEs the choice to order only the weekly calendar or the photobook, or both the calendar and photobook as a set. * In case anyone wishes to place an order which includes more than one order option, we have emailed kwonyuri125.com for more details. Note: the mini fancam DVD is the same DVD, regardless of which order option you choose. -This is a weekly calendar so each page will feature one photo and one week of the year. -Calendar and Photobook are exactly the same as if you bought them separately. -If you want to order more than 10 of order options 1,2 or 3, send an email to 125_yuri@naver.com including the exact quantity you wish to order and name of country. Send an email by October 15th 2011 so your order can be delivered as soon as possible. Order Form: Email a completed order form to 125_yuri@naver.com. After confirmation, a reply email will be sent. 1. 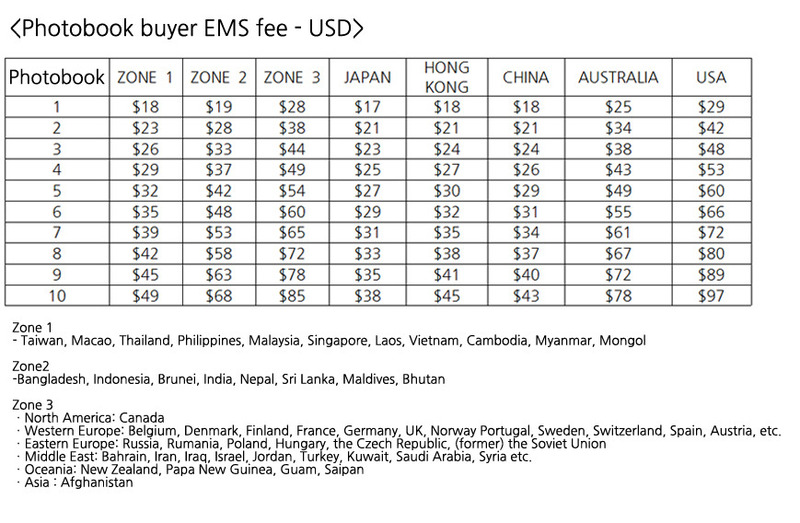 Calculate your shipping price according to how many you want to buy using the table above. 2. Send payment via Paypal. 3. Email a completed order form to 125_yuri@naver.com and wait for a reply. I thought the form has to send through email, not post on the sale section? No? Yep you’re correct. kwonyuri seems to have changed the requirement. Thanks for telling us! What is the reason for them not to carry shipments to South America? Brazilian SONE here. 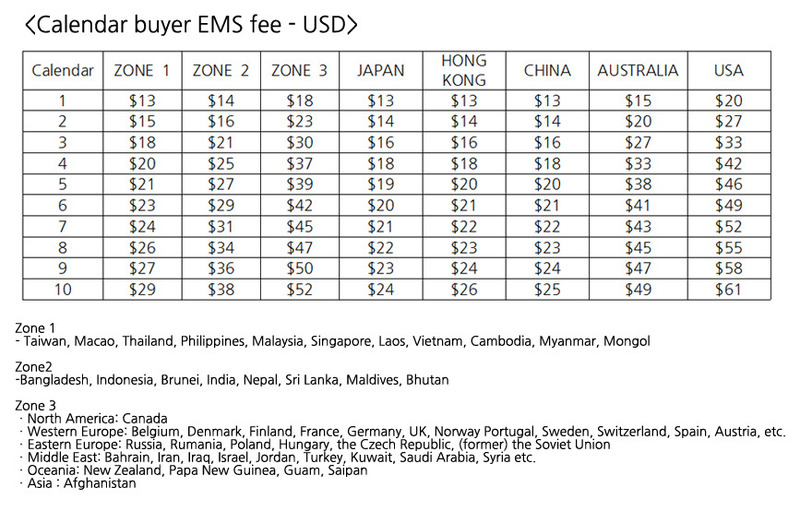 Did they change the EMS fee? It’s different on their website; we should go with what their site says, yes? the ordering period was finished? I heard that they will only start shipping out the photobook early feb, anyone know if that is true? I received mine in December…? That’s strange, a friend of mine got an email from them saying that they will start shipping out early Feb. I am staying in Singapore by the way.